If you know us at all, you know we're fanatical about experiential marketing. In fact, we've been running our experiential marketing blog for 5 years! Each week, we cover two great examples of brand experiences from around the world (as well as publishing thought-leadership pieces and updates about the agency). We get incredible feedback on our blog and - not to brag - but we've even won awards for it. In 2017, we won Best Content Strategy for Agency Growth and in 2016, we won the award for Best Content Marketing both at the UK Agency Awards. In 2018, we've also been shortlisted for Innovative Agency of the Year and Best New Business Campaign (our blogging strategy played a big part in our entries) at the UK agency Awards. Fingers crossed for two big wins in September at the awards ceremony! Given that we've been running this bad boy for a while now, we wanted to see which brand experiences have been the most popular with our readers, so we've rounded up our most-read posts since our blog started. It was surprising or terrifying. Whether it's an invisible walkway or a demon crawling out of a TV, if was shocking, it got clicked. It was clever and creative. A human claw machine? Why didn't I think of that! A simple, well-executed idea is always a winner. It served a need. Thirsty on a beach? Here's a free can of Coke ... with a catch. It used technology in a creative way. Face swapping? Projection mapping? The more high-tech, the better! It was weird. We still don't know what the KFC painting is about - but for some reason, we're into it. Shoppers in New York City run for their lives as a haunting character from The Ring comes to life. Check out the full write-up here. 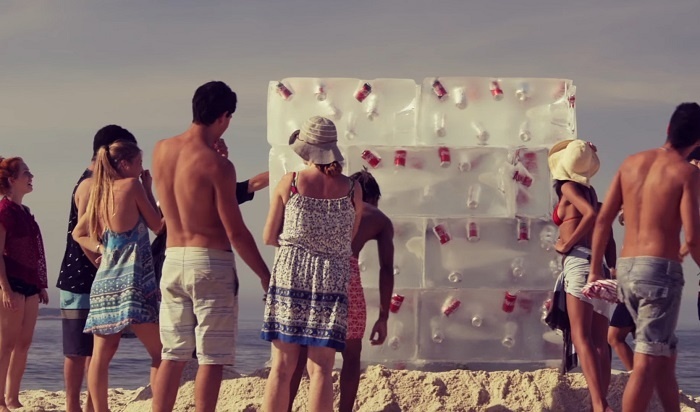 Sun seekers in Brazil were treated to free cans of Coke - after demolishing a giant ice block. Check out the full write-up here. 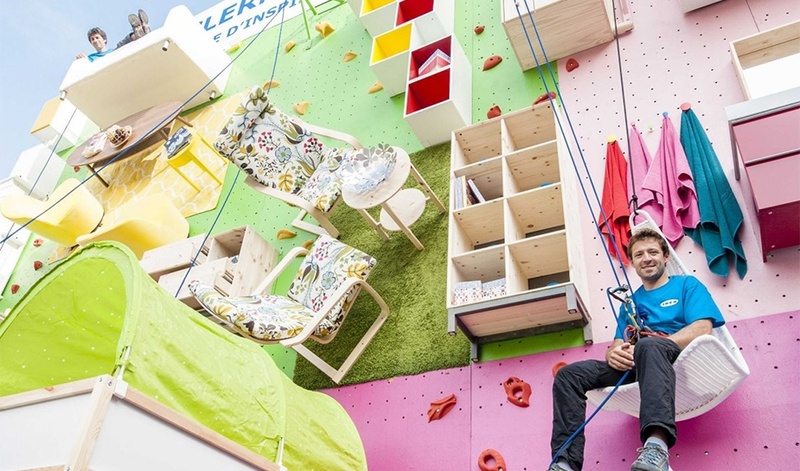 France make the climb as IKEA launched their 30th store and celebrated by constructing a showroom styled climbing wall. Check out the full write-up here. This experiential campaign from Netflix invites people to swap faces with characters from their favourite shows. Check out the full write-up here. Lay’s (the crisp brand also known as Walkers in the UK) installed a pop-up claw crane machine in Japan, where people could actually climb inside and grab the goods themselves. Check out the full write-up here. BMW uses ground-breaking projection mapping technology to target consumers in Munich, Seoul, Brussels and Paris to promote its 7-series model. Check out the full write-up here. Orangina's brand experience tricks French locals into believing their drinks are stuck in a vending machine. Check out the full write-up here. Rexona creates an invisible walkway that gives unsuspecting shoppers in Sydney quite a scare. Check out the full write-up here. KFC’s unexpected gift to one delighted Twitter fan in South Dakota is finger lickin’ good. Check out the full write-up here. Drum roll please! Our number our post sees Seth Rogen’s NSFW experiential prank give NYC shoppers the fright of their lives. Check out the full write-up here. Want to see even more great examples of popular experiential campaigns? Sign up for our next experiential & VR masterclass in a city near you!